Don’t miss your chance to visit one of northern New Mexico’s most iconic locations—the Forked Lightning Ranch. On Saturday, February 24th, Pecos National Historical Park will open up the Ranch House from 10:00 a.m. to 12:00 p.m. for visitors to explore at their leisure. 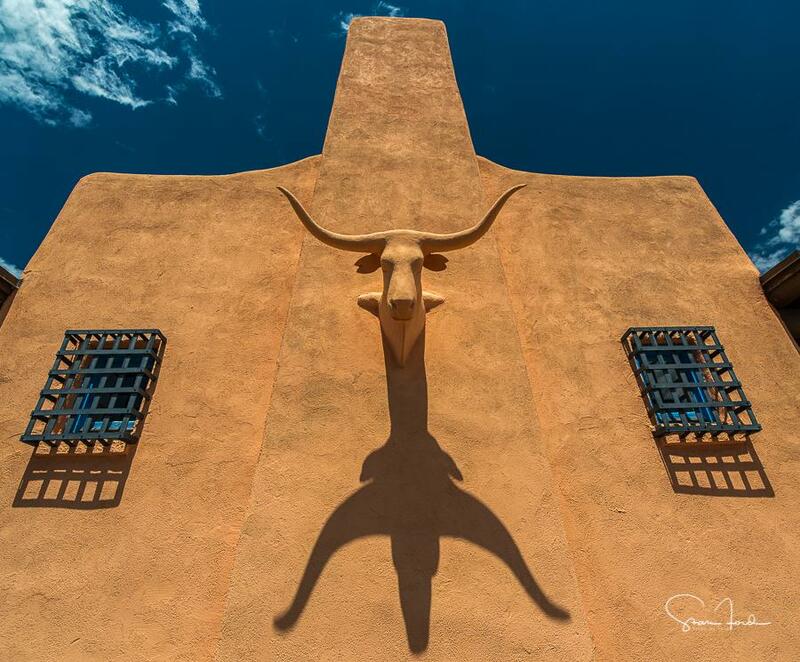 The Forked Lightning Ranch, which overlooks a wild stretch of the Pecos River, is steeped in history. Once home to such notable personalities as rodeo promoter Tex Austin and Hollywood actress Greer Garson, the ranch house transports you back to the formative years of dude ranching in the Southwest. Rangers and volunteers will be on site to help answer questions and to orient visitors to this architectural gem. Please note, space is limited to a total of 30 vehicles. Access to the ranch is down a 1.5 mile dirt road. For safety reasons, parking reservations are required. For more information and to make reservations, contact Pecos NHP at (505) 757-7241. For more information about the park in general, contact Pecos NHP at (505) 757-7241 or visit our website at www.nps.gov/peco. You will also find our listings on the New Mexico True website ( newmexico.org) and Tourism Santa Fe ( santafe.org). Please like on us on Facebook at https://www.facebook.com/PecosNHPnps or follow us on Twitter ( https://twitter.com/pecosnhp) or Instagram ( https://www.instagram.com/pecos_nps). Pecos, NM:– Pecos National Historical Park invites you to an evening under the stars for a one-time showing of Mrs. Miniverfeaturing Oscar-award winning actress Greer Garson. Join us on Ms. Garson’s birthday, September 29th at 7:00 p.m. to celebrate the 75th anniversary of the release of this critically-acclaimed film. Mrs. Miniver (1942) is an American romantic war drama film that depicts the life of an unassuming British housewife in rural England who is touched by World War II. The film won six Academy Awards, including Best Picture, Best Director, Best Actress and Best Supporting Actress. In 2006, the American Film Institute ranked it as one of the most inspiring American films of all time. The Pecos National Historical Park that we know today exists in large part due to the generosity and support of Greer Garson Fogelson and her husband Col. E.E. “Buddy” Fogelson. The Fogelsons owned and operated the Forked Lightning Ranch for 50 years. In 1991, Garson sold her ranch parcel to The Conservation Fund, which donated it to the National Park Service. She and her husband were honored with the Conservation Service Award, the Department of the Interior’s highest civilian award. Admission to the movie is free, but due to limited space, reservations are required. Gates open at 6:30 p.m. and the film will be shown in the field adjacent to the park’s headquarters building. Visitors are encouraged to bring their own blankets, chairs, snacks, and refreshments. Please bring a flashlight and dress appropriately for a fall evening in northern New Mexico. For more information and to make reservations, contact Pecos NHP at (505) 757-7241. The park extends a special thanks to Western National Parks Association for assisting with the showing of Mrs. Miniver.